Drywall taped and finished to a Level 4 Finish. ½” Regular drywall throughout the house with moisture resistant board in the tubs and shower areas only. 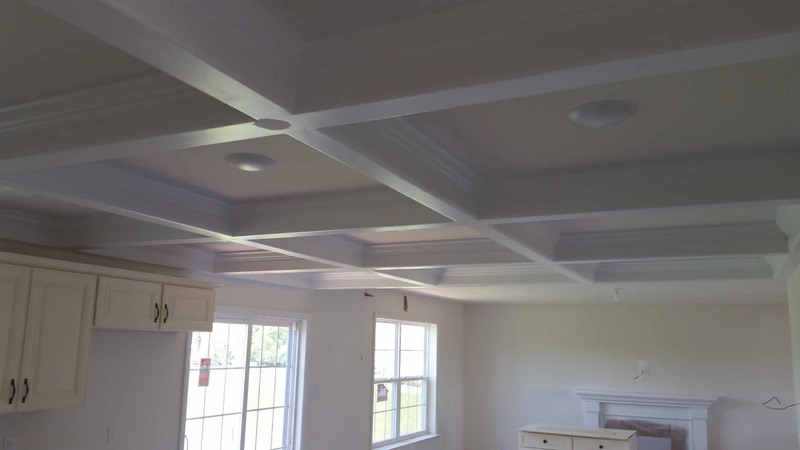 Option any drywall in basement ceiling in the unfinished areas per new code. All boards will be screwed and glued. Scrap to dumpster supplied by builder. 1 Layer of 5/8” Firecode drywall on ceilings and 1 Layer of 5/8” Firecode drywall on the common walls of the garage. The remainder of the garage is to be done with 1 Layer of 5/8” Firecode drywall.